The rise of IoT devices is pushing more systems towards an edge computing model in order to handle the data created more effectively. While several open source projects exist to help solve pieces of the edge puzzle, no single project currently meets the need for a complete edge infrastructure solution. The Akraino Edge Stack community is a new project that aims to address this and today the Linux Foundation is announcing expanded industry support, along with Intel's commitment to open source major components of its Wind River Titanium Cloud portfolio of technologies and the Intel Network Edge Virtualization Software Development Kit. "We've seen strong interest in Akraino Edge Stack since introducing the project, and are gratified that Intel is taking a leadership role with key Wind River code contributions," says Jim Zemlin, executive director of The Linux Foundation. 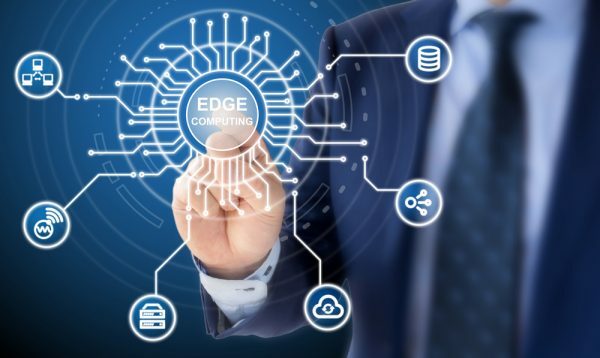 "As we move toward a full launch of Akraino Edge Stack in the coming months, we invite organizations and developers interested in contributing to the community to join us in working to define an open source solution for edge computing." Integration of existing technologies with Akraino Edge Stack will help deliver ease of use, greater reliability, unique features, and network performance. The Wind River Titanium Cloud components have a foundation built on open source standards, but this has been extended and hardened to address critical infrastructure requirements. This helps it deliver the high availability, fault management, and performance management needed for continuous 24/7 operation, as well as the low latency, high performance, scalability, and security needed for edge and IoT workloads. "Intel's contribution of production-quality edge computing infrastructure software offers users new levels of flexibility to scale edge cloud services faster, maximize the applications or subscribers supported on each server, and help ensure the reliability of systems," says Imad Sousou, corporate vice president and general manager of the Open Source Technology Center at Intel. "This project helps provide an open and scalable platform to encourage broad community involvement, accelerating innovation and edge stack productization across the ecosystem."